Looking at the details of Islamic history you realize that not everything is as it seems. Things are out of place and red flags appear when an academic analysis is done of the facts. Was Muhammad actually not from what is now Makkah, Saudi Arabia and instead was from an area in Jordan? The best write up of this is in the book “Quranic Geography” By Dan Gibson who is an expert on Nabatean studies and spent his life researching in Jordan. Mecca is not found in any historical maps of the world after the death of Muhammad. It doesn’t seem to be in the right place for a trade route – in fact its out of the way. Petra does appear in ancient maps and was a big trading hub. Descriptions in the Quran do not seem to match the current Mecca. In the Quran, It is described as having a valley. The mountains of Safa and Marwah are described as taking days to complete the saee (the ritual running which is part of Umrah and Hajj). But now its a quick run back and forth to complete it. Other discrepancies include the descriptions of foliage. But if there was no foliage, how did camels and sheep feed? The verse in the Quran describing how you pass by the remains of Lot in the morning and evening. The remains of Lot are not in Makkah, they are considered to be in Jordan. Why do all the early mosques point towards Petra, until the time of Abdul Malik Marwan when they started to change to point to Mecca, Saudi Arabia? The best reference is the Quranic Geography book ($15 PDF), for the below points, but you can also check the below websites. Dan Gibson believes that four times in ancient history the Arab people united and poured out of the Arabian deserts to conquer other nations. The first is described in the Qur’an as the people of ‘Ad. The Bible describes them as an alliance of tribes led by Edomites living in the land of ‘Uz or ‘Ud. The Egyptians named them Hyksos or shepherd kings who invaded Egypt from Arabia. By combining these three together, Gibson sees evidence of this powerful alliance from various archaeological remains. Later Arabia united again, this time under the leadership of the Midianites. Many centuries later, the tribes of Ishmael takes leadership, this time under the direction of the Nabataean tribe. The Qur’an calls them the people of Thamud. It was not until 600 AD that the Arabian Peninsula was again united, this time under the flag of Islam. But there is more to this book than a study of the four times when the Arabs demonstrated their greatness. This book also examines the geographical references in the Qur’an cross-referencing them with historical locations. The surprise comes when Gibson examines the Holy City of Islam, known as Mecca. Here Gibson finds evidence that the original Holy City was in northern Arabia in the city of Petra. He theorizes that during an Islamic civil war one hundred years after Muhammad, the Ka’ba was destroyed and the Black Rock was moved to its present location. Gibson examines archaeological, historical and literary evidence that support this theory and addresses many questions and objections that readers may have. This book contains many references, as well as some useful appendices including a 32 page time line of Islamic history from 550 AD – 1095 AD, and a 20 page annotated selected bibliography of early Islamic sources in chronological order from 724 AD – 1100 AD plus a list of many early Qur’anic manuscripts. Easy to read, fully referenced with many illustrations and photos. First I ask Allah to guide you and open your heart to understand the Quran because from what you are saying that shows me that you didn’t really understand and reflect on the meaning of the Quran. You said that the prophet lie but let me tell you that prophet peace be upon him was the best one ever walked on this earth and I am sure you know that very well but you are trying to convince yourself with something else which doesn’t make sense in life. Do you know how sahih bukhari and sahih muslim books reached us? Do you know that they didn’t take any Hadeeth from someone who is known with jokes yes just jokes not lies? If there is no religion as you claiming so how do we know the good from the bad and the bad from the good. or are we allowed to do crazy things. I ask Allah to show you the straight path and give you the knowledge that will benefit you. It is precisely because of Hadith that he has left Islam. Their occurrence ~ 200 years after the death of Muhammad had been the single most destructive tool in corrupting the message he was charged with delivering. Bukhari? Muslim? Criminals of the highest order. Mohammed: Respectfully, I’d recommend you stay on point. Do you have concrete, rational, logical responses to this article? Have you read the book he referenced to look at that evidence? You can now also watch the documentary. It is very compelling. Or have you already made up your mind to continue to believe your inherited faith exactly as you were taught it as a child, no matter the evidence? sadly, there are historical facts that show that you have been lied to… Makkah was not the origin of islam. The early qibla was Petra, not Jerusalem. Makkah was not a center of trade. Makkah does not appear on any maps until the 9th century AD. The descriptions in the qur’an fit Petra, not Makkah. Al-Malik probably invented most of the Mohammed myth in 691 AD. Even the Al-Aksa mosque has Petra as the qibla! Please can that why the holy water ZamZam in Mekka? Who told Muslims that it is ‘holy water’ and who called it ZamZam? Using logic and rational thinking, ask yourself what is the evidence for this? And, considering there are natural springs of water occurring all over the world, then why not springs at both Petra and Mecca? I am do believe that Petra is the Meccah of the Koran. The conquests of the Arabs a short distance northwards into Israel, Syria and Persia make sense only if the holy city of Mohammed was Petra in southern Jordan. -Until 724 AD, all mosques pointed to the city of Petra in southern Jordan, and not to Jerusalem or Mecca. -Mistakes in the calculations of the mosque builders or modern measurement errors can be excluded, since they are too big and too systematic. Already in 1977, Crone and Cook realized in their work ‘Hagarism’, that the most ancient mosques were not oriented towards Mecca. -Only after 822 AD (almost 200 years too late) all mosques pointed to the city of Mecca without any exception. -Mecca does not fit to the descriptions of Mecca in the Quran and the Islamic traditions. Mecca was not located on any trade route in Muhammad’s time, as historian Patricia Crone already found in 1987. Furthermore, there is no archaeological record in Mecca from the 7th century. Archaeobotanic research revealed that the PLANTS MENTIONED IN THE KORAN in Mecca NEVER GREW IN MECCA. -Petra in Jordan fits perfectly to the descriptions of Mecca in the Quran and Islamic traditions in an abundance of details. Petra was also a center of Arabian pilgrimage of Allat and Hubal. -The earliest Quranic manuscripts do not contain any detailed verses about the change of the direction of prayer from an unnamed place (the traditional assumption is Jerusalem) to Mecca (2:143–145). The only verse of the Quran which contains the word “Mecca” (48:24) and it may refer to something else. -The attacks of the Meccans against Medina came from the north, where Petra is, whereas Mecca is in the south of Medina. -The distances mentioned in the Islamic traditions suddenly start to make sense, if referring to Petra instead of Mecca. Please can you tell me then why ZamZam well is in Mekka?? ZamZam well is/was way to small to provide enough water for all the animals that would have been necessary to keep all the pack animals hydrated. Wow. History is blind when looking at the facts that are undisputed. Satellite pictures prove all the early mosques ALL, without fail, point towards Petra. It is a fact. So now you have to question your own Islamic faith. Good luck, may you come to know the love of the one true religion of the Son of God, Jesus Christ the Savior. “Until 724 AD, all mosques pointed to the city of Petra in southern Jordan, and not to Jerusalem or Mecca. -Mistakes in the calculations of the mosque builders or modern measurement errors can be excluded, since they are too big and too systematic. Already in 1977, Crone and Cook realized in their work ‘Hagarism’, that the most ancient mosques were not oriented towards Mecca. Mo, endless repetition is not a substitution for historical research. Whatever cannot be tested against reality has doubtful value. And by the way, we learn to tell good from bad through the study of ethics. Allah is pure will and thus he is not ethical, has no ethical standard apart from obedience to his every whim. Islam has no consistent morality. What is inconsistent is not ethical. Circular arguments, threatening and repetition of formulas are not are not valid arguments. Nobody is calling Muhammad a liar. The evidence suggests that Petra was the original Mecca and that after it was destroyed a hundred or so years later, they took the black stone and founded a new Mecca and Kaaba in Arabia. Over time it was forgotten that Petra was the true Mecca. You can still have the Quran and the Prophet, nothing changes except the realisation that Petra was the Mecca mentioned in the Quran. So if he’s astray, it’s not his fault at all. Bro it’s sad to know u’ve left Islam, and it would be nice if you could add me on Skype, and maybe we could discuss some of the points you’ve mentioned on this blog and maybe I could clear them off. Unfortunately, Dajjaliah is so rampant these days that people tend to stop believing in Allah completely. Would really appreciate if you could comment back here, and we could have a dialog. You said it, Hamza. Islam is contradicted by psychology, factual reality, science, archeology, ethics and art and has no answer. Therefore, you may abandon Islam with confidence. You personally know many apostates, do you not? do you have a pdf version of the quranic geography book? Look into Tom Holland. In the Shadow of the sword. The real question is; was there even a prophet named Muhammad? I was already beginning to think Mecca could not be the original location when I found about this book today. This is one aspect of the origin of Islam. The origin of Islam didn’t even begin with the prophet they call Muhammad now. It began with the Umayyad period. Although I don’t think there were any “Caliphs” before the Umayyads. If you look closer to that era, you will see that they say “Islam” but not the way we do as referring to a certain religion. They call all the believers Muslim or Mumin. But they don’t say Prophet Muhammad, they say The Prophet or Apostle of Allah (=God in Arabic). They say “Book of Allah” and never Quran. If the translators hadn’t left certain words in arabic (like Allah or Islam) one would never be sure of what religion they are talking about or to what prophet they are referring to. During the 9th century there was a hadith collecting craze. Everyone was looking everywhere to find something that could be useful in their studies. Interestingly none of them does a Quran study! Normally that should be the main source now shouldn’t it? Unless, there was no source at all! That would explain why just around those times, those “Muslim”(?) scholars who had no problem with hadiths and the life and deeds of the prophets, suddenly reacted differently to Quran and a “created or not created” Quran discussion and sceptisism began. Maybe because those times were the birth date of the Quran and all the muslims (Jews Christians Zoroastrians and who knows who else) were turned into “Muslims” as in the followers of the religion “Islam” which also was turned into a name from a general descriptive Arabic word! Nothing is what it seems in Islam. Actually it is very much like the Romans creating the Jesus and various books being written by so called disciples that didn’t even live in the same time period. No other source mentions someone by the name Jesus, just like no other source than the Islamic ones mentions the name Muhammad! You need to look closer to the dates, names and origin of people who started to mention and record the religion Islam, its prophet Muhammad and his deeds! Sema, there are several sources other than the New Testiment that mention Jesus as a real person who was crucified and rose from the dead. The New Testiment was not made up by the Romans. It can easily be traced to the time of Jesus Disciples in the first century A.D. Sorry, but the case for Jesus is much stronger that the historical Mohammad. The Romans did not create Jesus, we know this because of manuscript data that is available. Look up Ryland papyrus. As a beginning. The first biography of Mohammad comes from 200 years after his life. The earliest Gospels date from a decade or two after the death of Jesus, within the life of his followers. Apples and oranges. Correction: Not Ummayyad period but Abbasid. The Sassanians. If I were you I would hardly consider biblical stories to be historical, after all the old testament itself is a piece of ” propaganda” to exalt the virtues of “the chosen people ” and as such should never be trusted as source of historical information, especially since a lot of modern archeological work done seems to be unable to corroborate many of the events mentioned in the old testament. As for the hyksos there is still a lot of debate and uncertainity of the true nature of those people, they were”asiatic” meaning they came from the east, most likely nomadic, but also skilled warriors, and possibly semitic speaking. But as far as I know the exact ethnicity or compistion is stil a mystery so far.As for Petra, it is almost impossible to imagine it being the birth place of islam for many reasons, first the city was destroyed and abandonned more than two hundred years before Muhammed, second it was within the borders of the byzantine empire and most likely under direct control of its allies the ghassanids, a christian arab tribal confederation , both of which would most likey have seen any new cult or religion a threat and would have wanted to stop it, and third unlike makka we have had acccess to Petra for more than 150 years and a lot of acheoligical work was done and I have never heard of any discoveries suggesting any links to the birth of islam. As for the various peoples mentioned , such as Aad or thamud, we know very little about them,as most of our knowledge comes via islamic writings, which also might have a certain subjective narrative to tell, even though the stories might have been in origin rooted in true events , but with time might have been changed or reinterpreted to conform to a narrative. As for your first point, I agree, Bible Unearthed Discoveries of Old versions of the bible is a good video on this. Actually, we don’t know when Petra was abandoned. Documents found in the Byzantine church show there was still a thriving community alive in Petra through the 6th century. As to us not finding links to Islam in Petra, well, we haven’t found much at all in Petra. The city has been ransacked so much throughout the centuries that archaeologists rarely find any writings beyond rock inscriptions (making the documents found in the church so significant). The monuments were mostly tombs, but very few bones have ever been found. 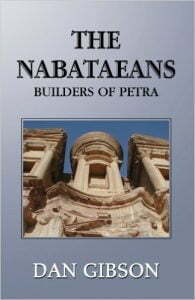 We know very little about life in Petra, whether from its hey-day or from it’s waning years in the 6th century and beyond. As for the Ghassanids, I admit that is a good point, but I recommend checking out Tom Holland’s book In the Shadow of the Sword, and his speculations on the meaning of the word Quraysh. It doesn’t appear to have been a real tribe, but was probably referring to confederations of tribes, possibly along the northern border. Hadiths tell us that the Quraysh owned property in Syria, which would have been unheard of if they were really from Mecca. They left when their infrasctructure supplying water was totally destroyed. @Mulhid, the temples and statues of Allat, Uzza and Manat are located in Petra and preserved, thanks to the climate. These are Nabatean God’s mentioned inside the Quran and Muhammad was commanded to expel them. On the other hand, as you would expect (or else these sorts of articles would not exist), Mecca has barren archaeology. Poor deluded (or outright lying) Mulhid. Actually, it’s quite common for archaeologists to use the Bible to *successfully* pinpoint excavatation areas. But you keep right on discounting logic, avoiding reality, and deluding yourself. Jay Smith only popularized the idea. The main thesis was by Dan Gibson, a scholar of Nabatean history. You should see the documentary. Is the documentary on youtube? The Dome of the Rock 90 AH 709 AD is oriented towards Petra. The argument about some mosques (masjids) point toward Petra, others toward South Africa and the majority toward Makkah is simply due to navigational errors, diversity of methods and religiously sticking to previously documented wrong procedures. This happened throughout the Islamic history and even transpires today. I am certain, another research can come up with a set of world mosques pointing toward a mountain in Yemen, a pyramid in Egypt and even toward today’s tallest building of Burj Khalilfa. Most Islamic scholars tolerate such errs with a common belief that the faithful do not pray any stone or building but the God. The God that exists inside and outside of time and space. The Kaaba is just a practical focal point that symbolizes the oneness of God and Muslim unity. It’s not just some mosques, it’s every mosque before..I think it was year 80 hijra he said… and really they’re not all pointing directly at Petra, but at least in towards northern Arabia. Also, dismissing it as navigational errors doesn’t explain why they started to get the direction right around the same time in history. If so why Muhammed canonized the qibla for prayer direction, I mean If god exists in and out of space-time, as you said, Why it is clearly instructed by the Prophet to only face the masjid e al haram while praying. secondly the navigational error, I agree if one or two mosque facing Petra, But here all of the 7th century mosque are built likewise. If it is a navigational error how could it be so precise to point to Petra. If mecca was the qibla then the quible should be missed by few degrees but in this case it vast and profound towards Petra. The camel herders never does mistakes since in desert the landscape is same all around with the shape shifting sands. If they commit navigarional error they would have lost for ever. I presume that the next project of Dan Gibson is to place a controversy of deceiving the Muslim world by manufacturing a fairy tale that no prophet was sent in the name of Mohammad pbuh who took birth in the famous Quraish tribe in 570 AD. May Allah save all Muslims from such controversy. But, How can you describe about Zam-Zam of Mecca? This is the water resource which created by Allah at the ancient time, long before of Mohammad (SM),in the time of Ibrahim(ASM). We, Muslim, thought that for this water resource (Zam -Zam) Mecca was build as a populated area by the time. It is so easy to apostate these days isn’t it? Or even to masquerade as ex muslims while getting paid shekels in return, amirite? can’t believe some people chose to believe (or dupe orthers) this manure. How do you think the media (their right arm) will portray it?? Do you ever wonder why deceitful “christian” missionaries never engage Muslim scholars publicly? But what is important in Dan Gibson work is not the qibla orientation. It’s the description of mecca in muslim history. This description does not match in any way to mecca! add to it the lack of archeological evidence that mecca is an old town! that is the real PROBLEM!!!!!!!! Zamzam spring is proof that present-day Mecca is Mecca/Becca of Muhammad times. May allah guide the believers to the truth. The truth, it seems, is slowly coming out now. We cannot ignore modern tools and disregard such strong conclusions. Perhaps this is why Islam is in such a dier state, because the immams have no logical answers and the Umah are like sheep, brainwashed since childhood who cannot change what has been practiced all their lives. Dan’s research makes sense from so many angles. We should be asking ourselves and our honoury imams what these conclusions mean for Islam. I don’t see what all of the fuss is about. Simply go to Mohammeds grave, and see which way he is facing in his grave. That should settle it because Muhammed was the ultimate example…right? What is curious to me is the insistence that there was no technology known to the Arabs to even calculate a Quibla line before the astrolabe. All of Gibson’s findings show that there was an intelligencia among both the Umayyads and the Abassids capable of determining longitude and latitude even though the radius of the earth was still a little fuzzy. When a line is pointed to Petra, there is going to be some error involved unless there was some unknown understanding of refraction corrections. Making six or seven lines fall over the vicinity of Petra is pretty convincing. I can not conceive of an easily made instrument that could do that and remain portable. I can buy a plastic protractor that is plus or minus one half of a degree at Staples or Office Max. Surely they could out do that in the late Bronze age. Even if they used Polaris as a reference for latitude, the error would have been about plus or minus a third of a degree. If they took measurements at elongation, that error due to being offset from the true pole would be greatly diminished. I am pretty sure there was an ongoing program of celestial observations and catalogues of past data that have been long lost or moved to Damascus or some other location. The accuracy would be due to multiple averaged observations over time. Greek influences would have possibly helped move the purpose of those celestial observations from superstition to the practical and to support trade. The Greeks had cosine tables to five places. The difference between Arc Cosine .70701 and Arc Cosine .70702 is only about 3 seconds of arc. I can remember when I was so embarrassed when it was learned that Nancy Reagan used fortune tellers to plan President Reagan’s schedule. Maybe the Abassids were embarrassed about the way they Umayyads were using these celestial observations.